Our accounting services provide detailed, accurate reporting and critical analysis that allows you to assess your financial health and realize your business goals. We take over your time-consuming and complex tasks—and deliver all of the financial data you need to make informed business decisions. Our firm will prepare everything from financial statements to compilations and reviews. We also take the time to review all of your data with you throughout the year to offer insight and help you to understand the story behind the numbers. Our thorough financial analysis will give you better visibility into the factors driving your business. As part of our commitment to remaining on the forefront of industry best practices, we provide an advanced online platform that allows instant, on-demand access to your documents. 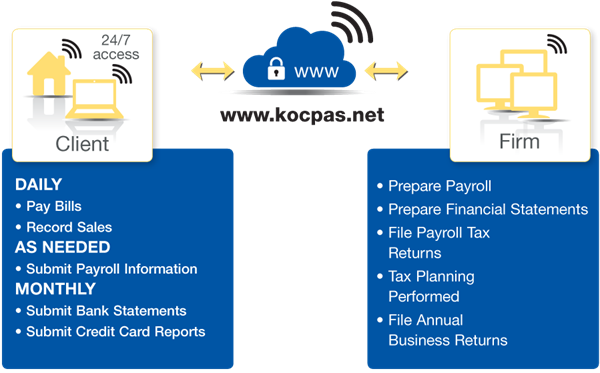 What's more, by logging into your personal secure portal you are always reviewing current information and can eliminate paper copies.